If you look up best price on Generac Generators online, you might get disappointed as there’s not a lot of information available. That’s what this guide is for, to help you find the best price without compromising quality or features. At the same we’ll show how to choose the best home backup generator for emergencies. Kohler Generator vs Generac Generator: Which Is Right for You? The cost ranges from around $500 for small, compact units to more than $3,000 for the most powerful models. If you only need backup power for a few necessary appliances, you can get by with the smaller generators that cost less than a thousand dollars. If you need a home backup system however, you’ll need something with more muscle. The most affordable currently available is the PowerPact 7kW, which starts at $1800. The PowerPact 7kW provides portable backup power and is capable of running well pumps, refrigerators and other appliances. The PowerPact 7kW doesn’t require any manual configuration and has less than 5% total harmonic distortion so your electronics and appliances run smoothly. Apart from the PowerPact, there’s also the PowerPact 7kW with 8-Circuit Switch. It has many features similar to the PowerPact 7kW, but it has the transfer switch installed so you don’t have to make a separate purchase. When comparing prices, keep in mind that the item may come with free or discount shipping, and you’ll be able to save even more money. Discounts vary per retailer, giving you another reason to compare prices and offers from different dealers. In addition to the above, Generac also has other generators in the $1800 to $2500 range, each with their own unique features. The easiest way to sort these is to go to the official Generac website or other online retailers and search specifically for the company’s products. In these websites there will be an option to search for low to high or high to low priced generators, so you can use that as a guide. But that’s just one option, however, as you can also search specific series models under the Generac brand like Synergy, the Guardian Series, the Protector Series, EcoGen, Centurion and more. You can also search using kW (below 7 kW, 7kW – 11kW, 23kW – 40kW and so on) as well. When searching for prices, the range will vary, but you can expect options like $1,999 and below, $2,000 – $4,000, $4,000 – $8,000, $8,000 – $12,000 and $12,000 +. Simply choose the preferred option and you’ll find what you’re looking for. Again, while price is an important factor, so is the watts, ease of use, etc. You need to weigh those in as well. While you’re looking up these products, remember to make the proper calculations, and if you’re not sure how to proceed, you should talk with a dealer. Tips for dealers are given below. But to start with, the total running watts of the devices and appliances have to be computed, and the generator’s wattage needs to be a bit greater than that. The motor wattage is about five times larger during the startup compared to when it’s running at a steady rate. Usually wattage is listed on the appliance, but if it shows amperage instead, multiply the amps by volts to get the wattage. This will give you an idea of the wattage. It will also give you an idea of how much the generator is going to cost. When it comes to generator dealers, you can find them in licensed Generac distributors or online. These days the easiest way to find one is to go online. Simply type “Generac dealers” or go to the official website. Either way, it will be easy to find one. Regardless which dealer you choose, there are a number of things you need to keep in mind. First, it’s never a bad thing to talk about the price and try to negotiate. Even if there’s a retail price given, you have nothing to lose by asking. Second, remember that these dealers aren’t just there to sell but also to install and service the generator. These people are trained specifically to answer customer inquiries so feel free to ask questions. If you’d rather look for a dealer online, you will find lists, but keep in mind that in most cases, you still have to contact the dealer for installation. There’s no single answer to this question because the needs of homeowners vary. Of course you want the most inexpensive option and you can get one using the tips given above. But apart from the price you have to determine the wattage necessary, or how many appliances and electronics you want to run. Here’s a power wattage guide you can use. Before you buy one of these generators, check if the transfer switch is included or if you have to buy one. It will also be to your benefit to learn electrical terms like amps, volts, watts and so on. Generac generators are popular with plenty of reviews available online, but they’re not going to make a lot of sense unless you know the language. You don’t need to become an electrician, but it won’t hurt to learn the terminology so you’ll know exactly what you’re getting. There are a few other things you need to go through: do you need a portable or standby generator? Would you prefer a generator that runs on natural gas, liquid propane or diesel? Which series do you want to try? These are questions that you need to answer before settling on a specific Generac unit. You should also check the power connection in your home. Look for the gas line and electrical service panel and make sure there are no problems with the lines. Last but not the least you have to do a thorough product comparison. Generac manufactures a wide range of generators with different outputs, prices, run times and so on. By comparing these features and their cost, you’ll be able to find the best Price on Generac generators. Generac generators offer several benefits that other products cannot match. Discover what these generators can do for you. Generac generators have become the standard by which other generators are measured, and that’s understandable given how powerful each one is. Unlike other manufacturers, Generac offers several options under different series models so you can find one for home backup use, DIY projects, camping needs, etc. Whatever your requirements may be, you can be certain there’s a Generac that can take care of it. If you are considering a Yamaha generator or a solar backup generator, be sure to consider other options as well. 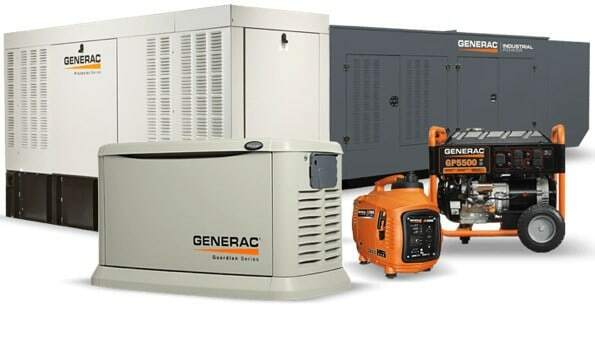 Generac offers several types of home generators, each of which provides unique benefits for the homeowners. the Protector Series, the Eco Gen, the QuietSource series, the Centurion Series, PowerPact, Synergy and the Guardian Series. Each of these products has special features and capabilities but share some elements in common. All of these generators for instance, can sense when there is a power outage and turn on automatically just a few seconds after power goes off. If you have one of these generators permanently installed, your home receives automatic protection from power outages. These units run on liquid propane or natural gas and stationed outside your home like an air conditioning system. The generators are directly linked to your home’s power system and can back up your essential appliances or the entire house, depending on the setup. Compared to other standby generators however, the Generac doesn’t require a lot of input from you, and you don’t even have to be there to stop or start one of these generators. Regardless which model you buy, it’s going to be smart enough to turn on and off automatically, saving you time and money. These generators run on the LP or natural gas your home uses, and because it powers directly to your house, there’s no longer any need to use an extension cord. Once the unit has been installed and configured, it will produce power via the electrical panel, and what’s more, there is customer service available 24/7 in case there’s a problem. However, even if you have never used one of these before, you should have no problem figuring out how it works. And as many reviewers have already noted, these generators are solidly built and designed for long term use. The Generac 5500 Generatoris built for emergency use and comes with several features that you usually don’t find in portable generators. The Generac 5500 Generator is capable of powering essential appliances and electronics, and it’s also ideal for camping, outdoor events and even job sites. The 5500 also has circuit breaker protection that prevents circuits from overloading, and it also has an hour meter so you can monitor usage. The Generac 5500 Generator also has fold down handles and wheels that will never go flat so portability won’t be an issue. The 5500 generators also have covered circuit breaker protected outlets so you can use it in tough conditions and environments. For all its power though, the 5500 is compact and offers superior power to weight ratio. Usage and management are easy as well with controls and features highly accessible. This manual and pull start generator doesn’t require extensive maintenance, and there’s a low shutdown feature that senses when oil level goes down. When it reaches critical levels the generator shuts down automatically so the engine doesn’t get damaged. Another notable feature on the Generac 5500 Generator is its low tone muffler. One of the problems with most generators is they produce a lot of noise it becomes a distraction, but that won’t be an issue here as the mufflers keep noise to a minimum. Just like other Generac models, the Generac 5500 Generator is equipped with a 100 steel tube cradle that provides durability and strength. This is an important feature that not too many people pay attention to, but it’s crucial especially if you’ll be using the generator regularly. These Generac 20kW Generators provide power and convenience, and were developed specifically for whole houses. As the specs will show, these generators are capable of getting you through days without access to utility power. The secret lies in in the OHVI engine that not only provides power but reliability. In addition, these generators use Generac Truepower Technology so there is less than 5% harmonic distortion, so electronics and appliances won’t suffer damage. One of the more common complaints with generators is their unreliability, but the Generac 20kW Generator is an exception to the rule. Furthermore, these generators have an LCD text display with backlit buttons so it’s more convenient to use. All of these generators are certified for 18″ home installation and conforms to the NFPA standards. When the generator is used with the Smart Switch and the mounting pad, you don’t have to set up a concrete base, making it easy to use. And if you’re living in a place with low natural gas, the Generac 20kW Generators can still run as they’re able to work with just 3.5 inch water column. All Generac standby generators perform an automatic Quiet Test Mode once a week to make sure that it’s working properly. With other generators this test is noisy and distracting, but thanks to the Quiet Test Mode, the self-test runs quietly. The RPM is lower and quieter and you can have the test configured to run the default weekly or bi-weekly or every month. Last but not the least, these generators are constructed from solid materials so durability won’t be a problem. As testament to these generators’ durability, they can handle winds of up to 150 mph. The Generac series also don’t require tools for switching between LP fuel and natural gas. These Generac generators run properly with the proper maintenance and should last a long time. However, accidents or just wear and tear will take its toll and some parts have to be replaced. The good news is you can get replacement parts easily online. In addition, there are accessories available that will enhance your generator’s performance. There’s a wide range of accessories available for each generator such as cleaning kits, tune up items and power washers. You will also find oil filters, air filters, maintenance kits and other stuff for your portable generator. There are also special accessories for home backup generators like touch up paint, base fascia, cold weather kits and other items. You can order both Generac generator parts and Generac generator accessories online, but make sure the item you order is for the exact generator model you’re using. Each generator comes with a manual that contains information about what oil for Generac generator to use, management, maintenance, frequency change and so on. Refer to this for maintenance and don’t do anything the manual doesn’t recommend. Here are a few more tips that you should keep in mind. Most of these new generators require an oil change after the first 25 hours. This is only for the new ones that haven’t been used before, because after the first use you just need to remove the oil for Generac generator and refill it every 50 or 60 hours. If you’re going to use the generator on a regular basis it’s best to stock up on oil for Generac generator and filters. This might seem unnecessary until a storm knocks out the power and you’re scrambling to buy oil. If you’re a first time owner, read the instructions carefully on how to pour the oil, and if necessary use a lamp as a guide, and don’t fill to the brim. Generator fuel tanks are set on the engine so be careful you don’t spill anything. To avoid potential disaster, wait for the engine to cool before pouring and use a flashlight or lamp if it’s night. As was pointed out above, Generac has supplied these units with a low fuel indicator so you’ll know if it’s running out. However, don’t wait for the fuel to go down to dangerous levels before refilling. Here you will see the benefits of stocking up on oil filters rather than buying them when needed. One more thing needs to be said, and it’s that Generac generators need fresh oil to run at optimum power. Change the oil as per the manufacturer’s recommendation and don’t let old, dirty oil settle in the machine. If you allow this to happen, the generator will encounter problems starting and destabilize the unit. Check the manual if it recommends adding a fuel stabilizer as it can cut down on the breakdown, gum buildup and varnish. 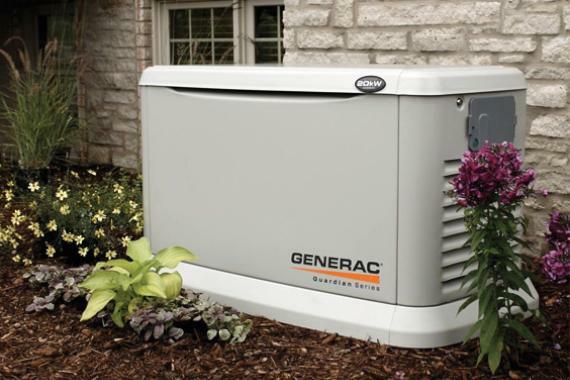 Thinking of Buying a Generac Generator? I own a Generac backup generator and there was one challenge that I have with these Generac units. I have been experiencing this issue has been for about 10 years now. Just a little bit of background this is the second general I’ve owned in the last 10 years. The first unit I had was a 6 kW unit this one’s a 16 kW unit works generally okay overall but here’s a bit of a challenge that comes with both of these models and possibly other models. Something that you have to be mindful of. This morning I opened the cabinet because the generator was not starting up. And I discovered there is oil all over the inside of this cabinet. And it only happens in really severely cold winters. In your air filter cabinet is a reservoir underneath the filter. What’s happening is the air filter cabinet has a deep reservoir on the bottom and condensation is building up. At the bottom and on the side of the reservoir you will see your exhaust port and you’ll see the ice has brought itself all the way back in and it’s frozen. What happens is that when it’s really cold outside the warm air hits cold air and condensation turns to ice that builds up in the cabinet and ends up blocking the engine exhaust port. When the exhaust port gets blocked with ice, the engine exhaust has nowhere to release pressure. The pressure eventually builds up in the engine so much that it blows out the dipstick and shoots the oil out all over the inside of the cabinet. The exhaust pipe blocks the engines ability to exhaust and so when the pressure builds up shoots out your dipstick and it fills up the cabinet with oil. One good thing about these units is they have an automatic alarm on low oil so once the engine gets low it immediately shuts the engine off and does not allow the system to start it again. If you do not regularly clean that water and ice out of the bottom of the air filter cabinet. Spend a little time cleaning up all the oil and clean up the cabinet again and then we’re gonna refill the unit with oil leave it for a few minutes and then fire up the generator. There will still be a little bit of oil around the engine so it’s going to burn off. One thing that I would recommend if you do have one of these is if this happens to you make sure you clean out the inside of the cabinet really really well because that’ll allow you to check later in case there are leaks. You may have a gasket leak or if it happens again you’ll be able to see if there’s oil leaking anywhere. For the folks that are looking for backup generators or standby generators, the Generac brand is pretty good. Overall I’m not unhappy with the unit but in the wintertime when the power goes out it’s important that you make sure every time the generator runs, is that you go out check the oil and make sure you open that air filter compartment clean out the ice or the water out of it before it ­­has a chance to freeze back into the exhaust port again.